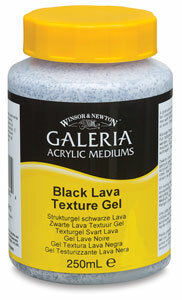 This gel contains fine particles of black flint. Use alone for colorless results, or mix with acrylic color. It can be overpainted.